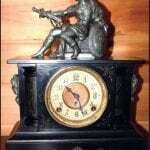 Attached are photos of an unusual clock my wife and I inherited from her mother. It is very heavy; it seems to be cast iron. The molded inscriptions on the back say “Copyright # N 864 NY 1887.” Further inscriptions read “N Muller’s Sons.” It appears to be very old. I’ve gotten it to operate, and it keeps good time. Can you tell us anything about this clock? We always enjoy your “It’s Just Stuff” columns. Nicholas Muller and his brother, Carl, left Germany via France in the mid-1800s. Often featuring Carl’s bronze figures, Nicholas Muller & Sons partnered with various clockmakers to cast clock toppers. Nicholas Muller took patents in 1885 related to clock fronts and a lamp base. The clock-maker’s information, which may be hidden inside the clock’s case, would indicate a more precise value. I’m pleased you were able to make the clock tick and tell time. Clocks similar to yours sell for $125 to $600. A bronze topper, gilt and onyx case or a revered clock-maker could increase value by a zero. 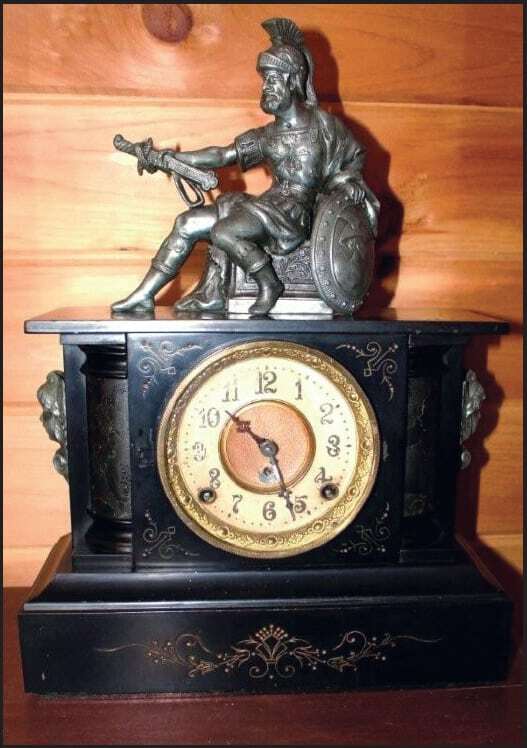 Funny thing … in my research, I found that a spelter, white metal gladiator without his clock recently sold for $70. Called clock-toppers, these figures are apparently in vogue. So guard your gladiator! 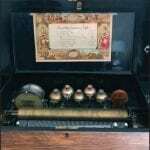 This music box was given to my husband by his grandmother. All we know is it was a gift to her from her husband after the war. Can you tell me anything about this? We love playing the music. 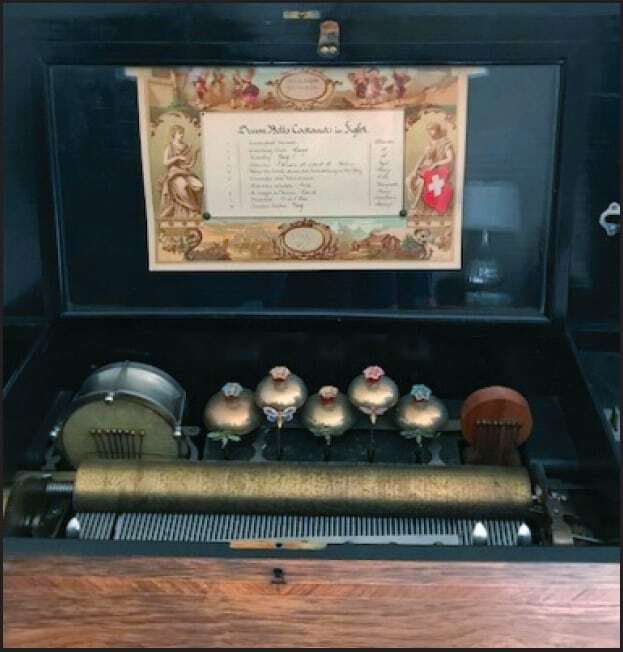 Your Swiss-made cylinder-roll music box was made by Mermod Freres around 1895. Although I did not see a mark, the two small drums flanking a row of bells indicate his work. The bells are decorated with colorful flowers and insects. When the cylinder turns to prick the tines, it also engages the drums to beat and the bells to be rung by the bugs! It’s an orchestra in a box. The original label on top is the list of songs. Music boxes nestled into dark wood boxes were popular between 1840 and 1910. Mermod Freres’ music boxes were a step above more simply made models. 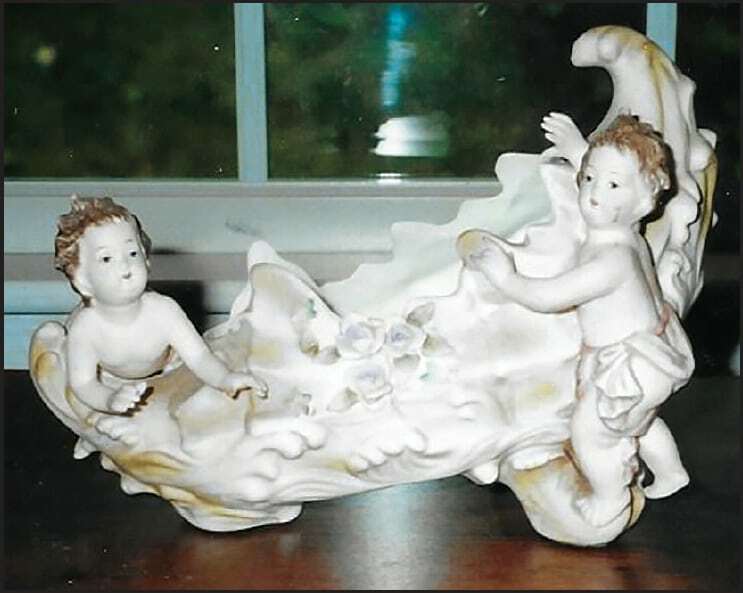 They can sell from $1,000 for a working but not perfect model to $4,000 for a restored box. 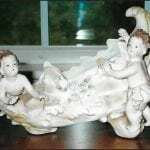 Could you give me some information about this piece? It’s approximately 9 inches long. Is it valuable? 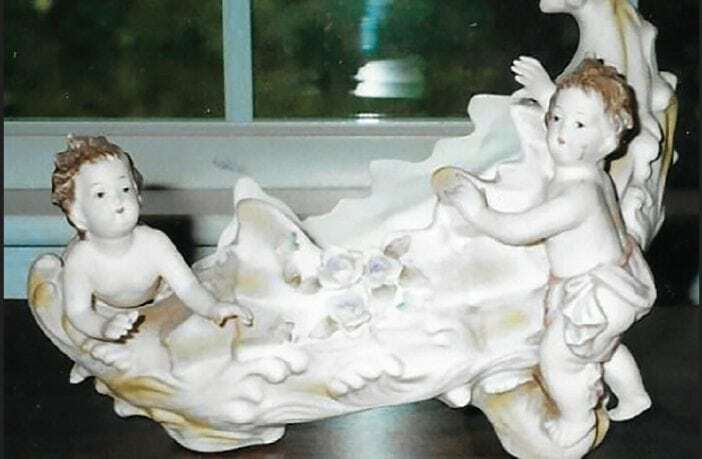 Indicated by the U.S. patent mark, your bisque porcelain shell with puti (naked babies without wings) was made after 1950. It might sell in the $8-to-$20 range. Our mothers and grandmothers loved Lefton. They bought and saved far more than the current group of heirs and buyers can assimilate. 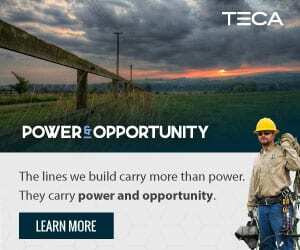 It’s a buyer’s market.